Techslice is a column by Ali Wilson. Views expressed are not necessarily those of Digixav. In October 2011, Apple released their latest iPhone: the iPhone 4S. A lot of people were disappointed with the result that came 18 months after the 4 and were expecting something a bit more, well, new. 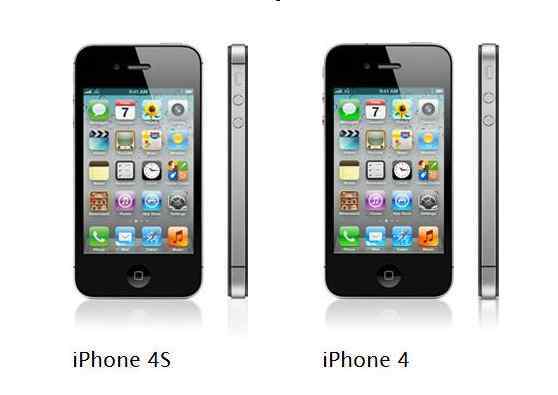 By sight, the iPhone 4S is the same as its predecessor, the iPhone 4. The only major differences for a year of development were a dual-core A5 processor from the iPad 2, Siri and 3 additional megapixels in the camera. So with so few differences in the last upgrade, we are expecting great things from the iPhone 5/iPhone 4G/iPhone 6/new iPhone. There has been a concept design released and, as you can see, it does look very different to the previous model. Straight away, the first thing we notice is potential design overhaul of the new iPhone. Apple may reverted towards their old curved design from the original models. The shape is a lot less square and is much more rounded, a lot like the new Samsung Galaxy S III. The screen size may increase from the current 3.5″, with rumours circling that Apple may enlarge it to a whopping 4.8″, although Steve Jobs would turn in his grave. He was in staunch opposition to larger screens as he (rightly) thought that they made the iPhone resemble an Android phone. The sixth installment to the iPhone series is said to be being released just over a year after its older brother. It was thought that if it was released earlier, then the new iPad’s sales would not be as high. Apple have therefore left a six-month gap between the iPad and the iPhone’s release. It is rumoured for early October 2012. So, if you’re thinking of investing in an iPhone 4S, think again. It should be worth the wait of (potentially) just six months, because Apple could change everything. Again.